It's a little after noon and my husband is home. He usually works until 3:30 but he has pneumonia so he is spending time resting. He took last week off but his boss so graciously told him to go home early yesterday and take the next 3 work days off. I'm happy. This means I got to make him lunch today. Normally by the time I'm done feeding the boys, food is the last thing on my mind. But today I actually have been able to eat TWO meals, and it's only 1pm! For all you SAHM, you know what I'm talking about. 1. 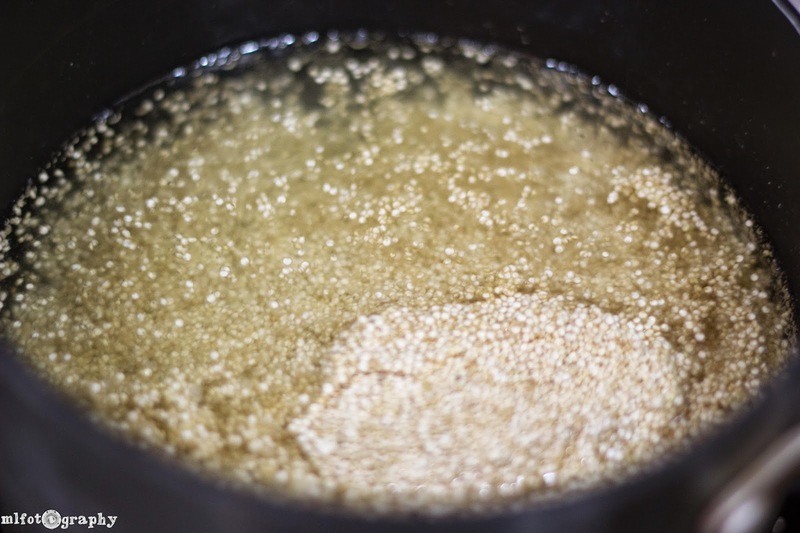 Bring 2 cups of lightly salted water to a boil and add one cup of quinoa. 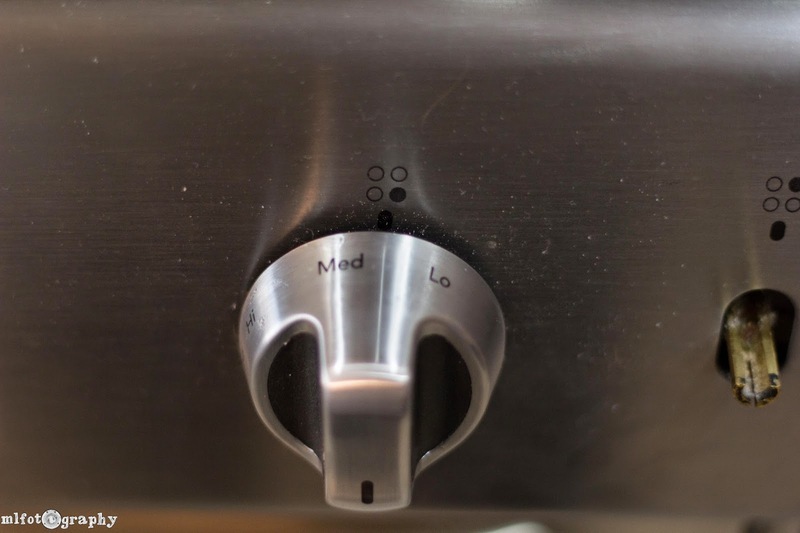 Reduce to medium and cover for 12 minutes. After 12 minutes, turn burner off and let sit covered. 2. 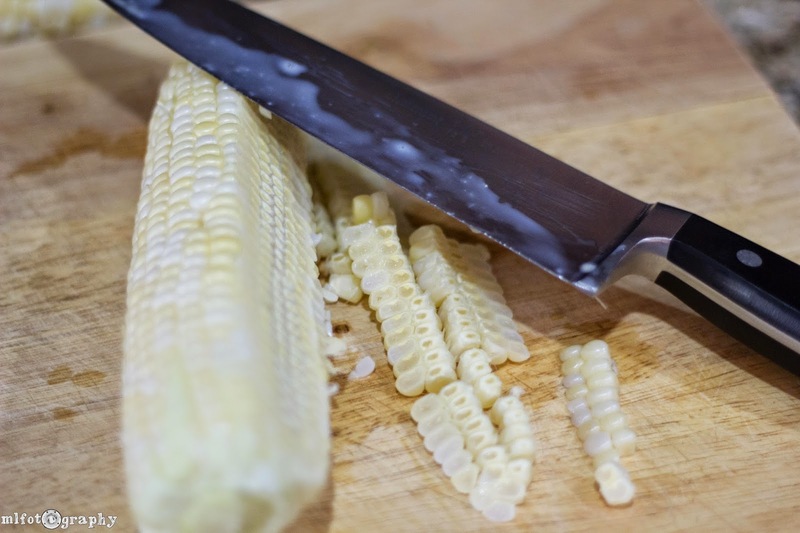 Cut corn off of each cob. 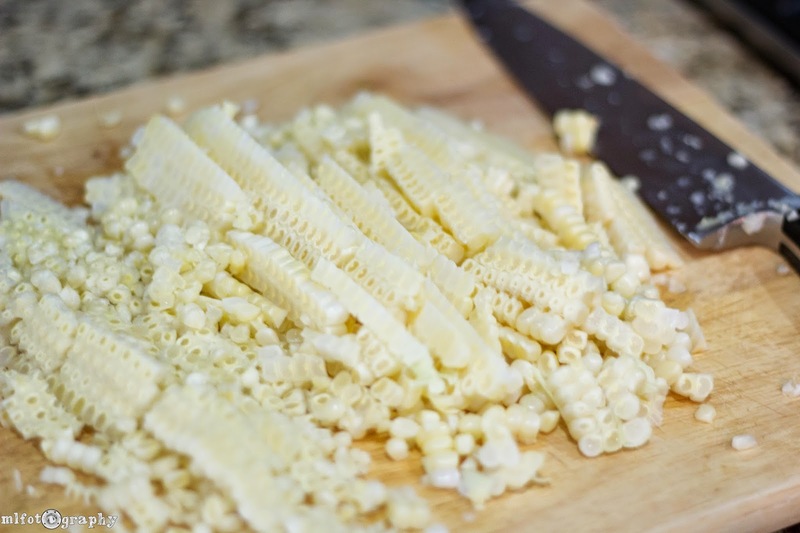 I found that if you leave the corn laying on the cutting board, it's a lot less messy than cutting it vertically. It took my a while to figure that one out. 3. 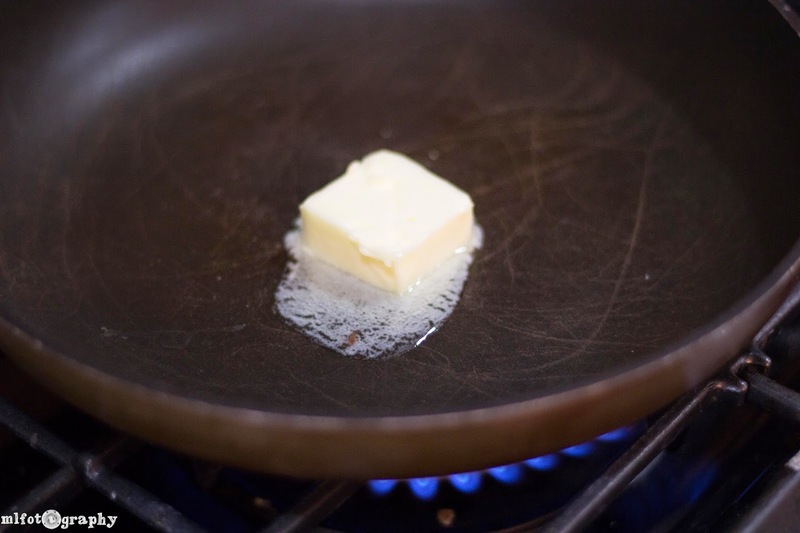 Melt tablespoon of butter in a skillet over medium high heat. Add corn and chili flake. 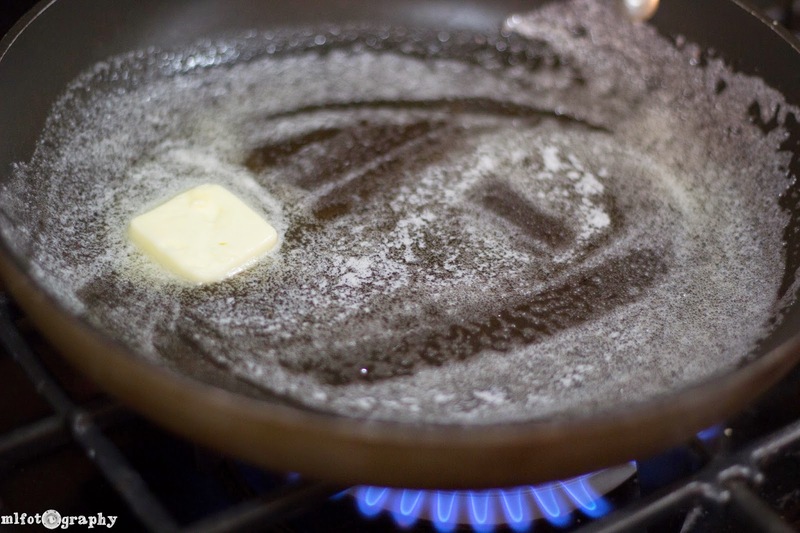 Keep cooking over medium high heat until the corn is browned. 4. 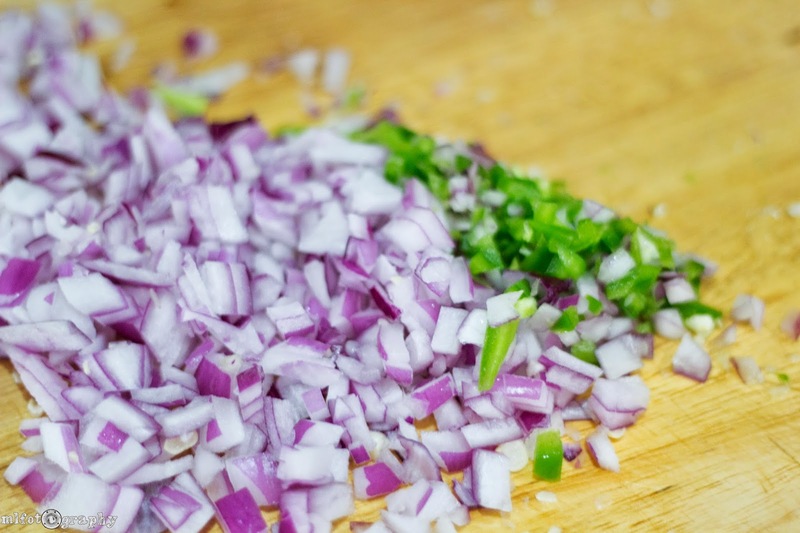 In the mean time, chop your onion and jalapeno and quarter the tomatoes. 5. 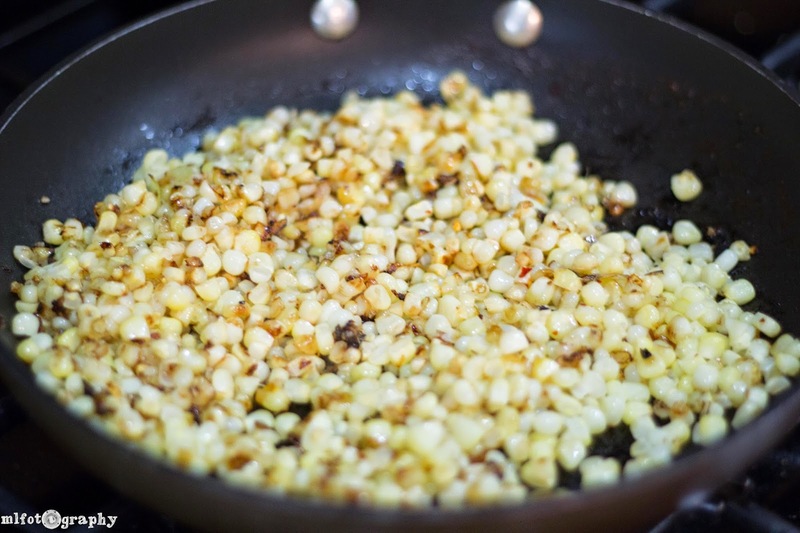 When the corn is done, put in a large bowl and add the other ingredients. 6. Next up is dressing. 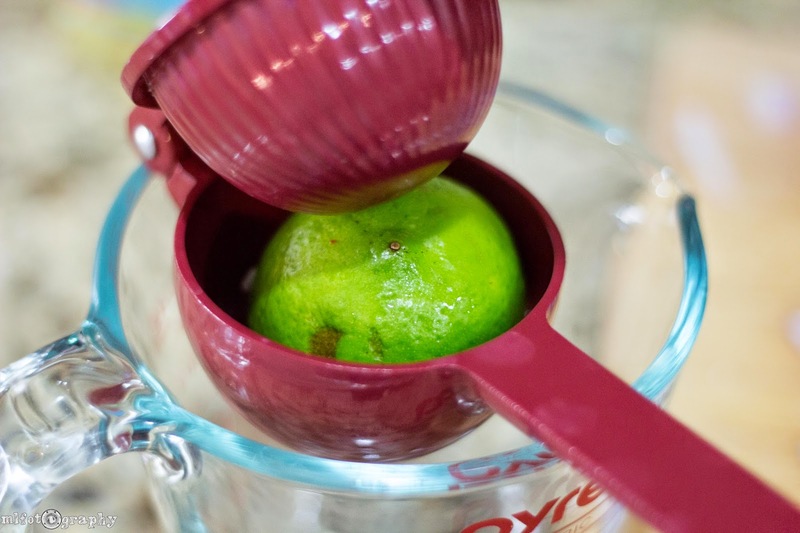 Squeeze the lime and lemon into a measuring cup or the dressing vessel or your choice. Add honey according to the sweetness of your lemon and lime. Add chili, cumin, onion and garlic powder. Drizzle in oil while stirring the mixture. QUALITY CONTROL PEOPLE. Now is the time to taste test. Adjust your flavors if you need to. 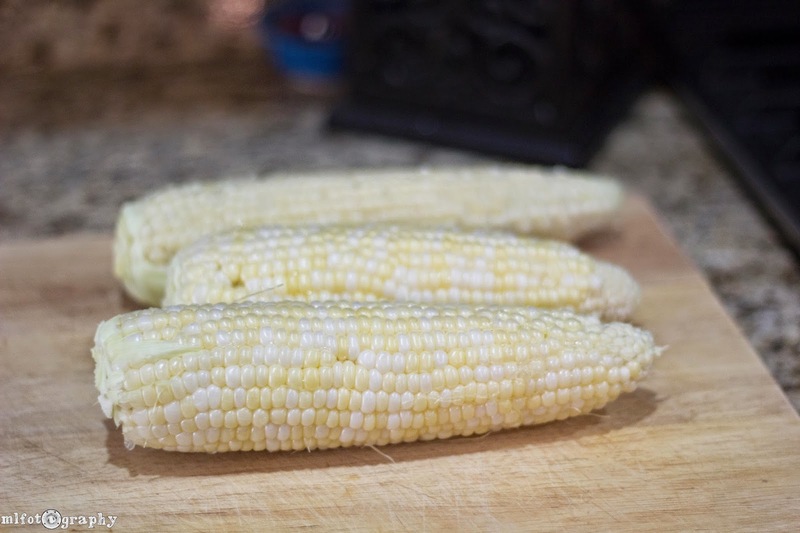 Having something a little sweet is okay because you're going to have heat on the corn and with the jalapeno. My dressing tastes different every time. This particular batch was a little sweet. It was a really nice balance. 7. 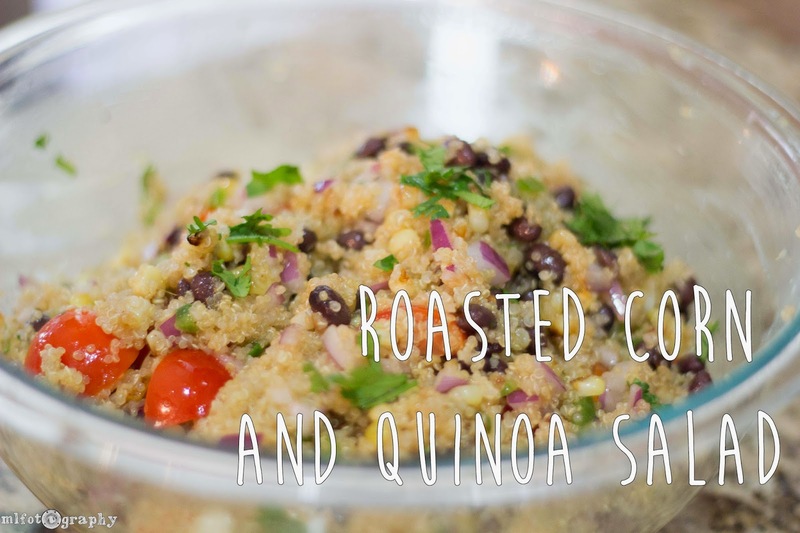 Add the cooked quinoa and drizzle half of the dressing. QUALITY CONTROL! 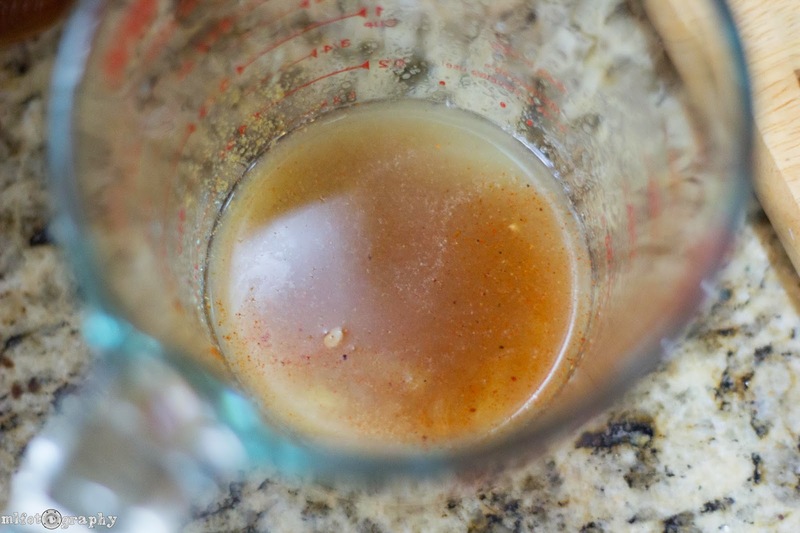 Taste before you add the rest of the dressing. 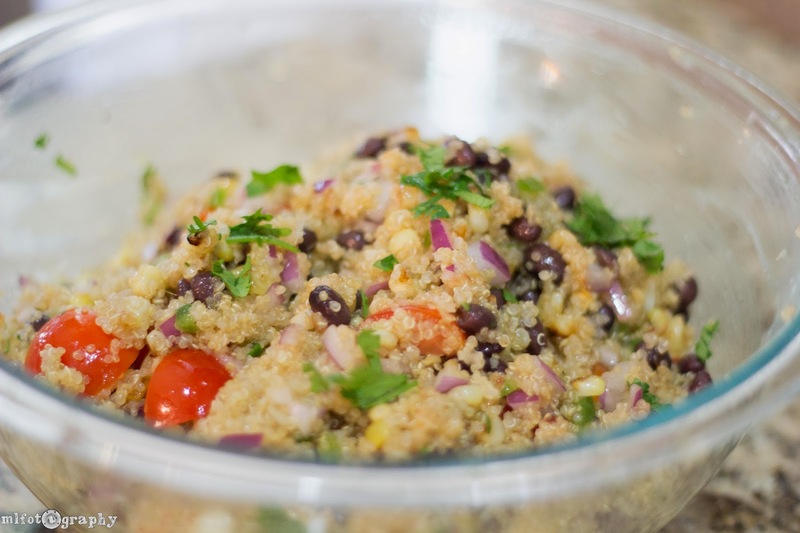 The warm quinoa will absorb the dressing. It's, well, delicious. 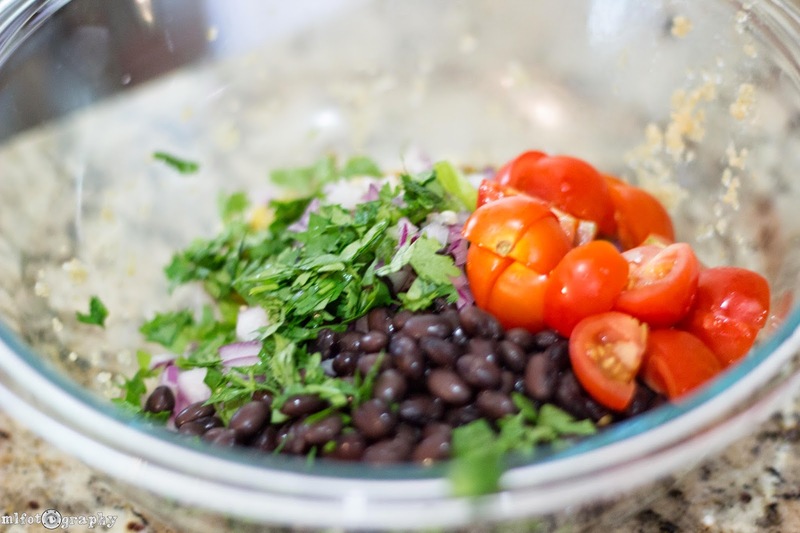 I make so many variations to this salad and there are so many out there. 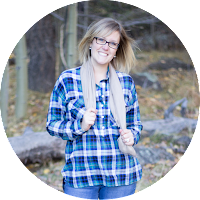 It's so versatile and the ingredients are so inexpensive. 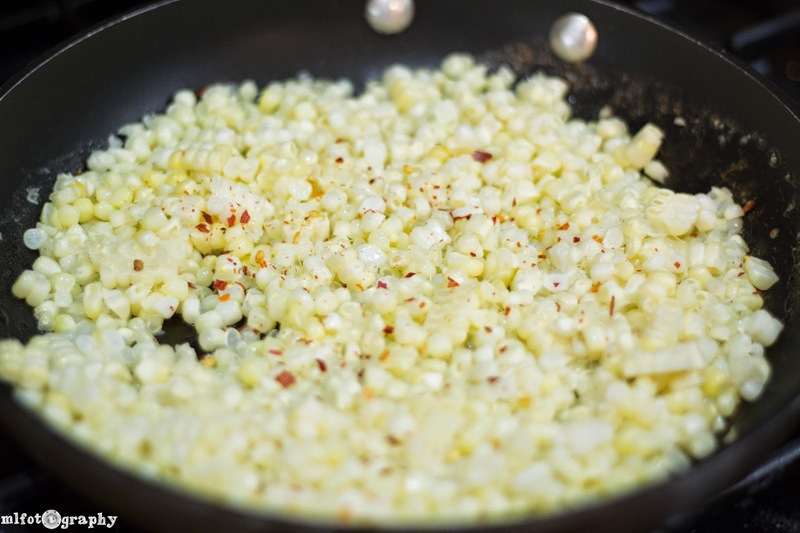 Sometimes I cook the corn with garlic, sometimes I soften the red onion. If I have a ripe avocado I will add that as well. You can eat this hot, cold or room temperature. It's all so good and good for you. My first time cooking quinoa at home I definitely scorched it. 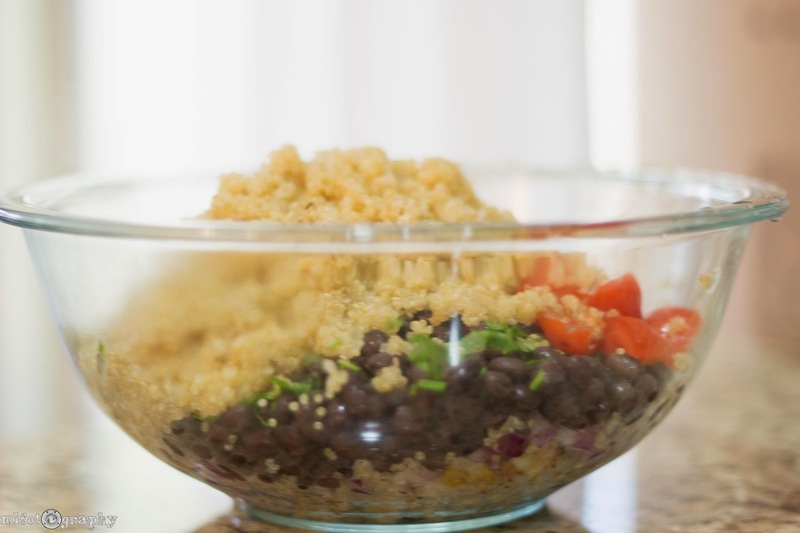 A few weeks later I regained my confidence and tried again and made Esquites Quinoa Salad with Avocado. 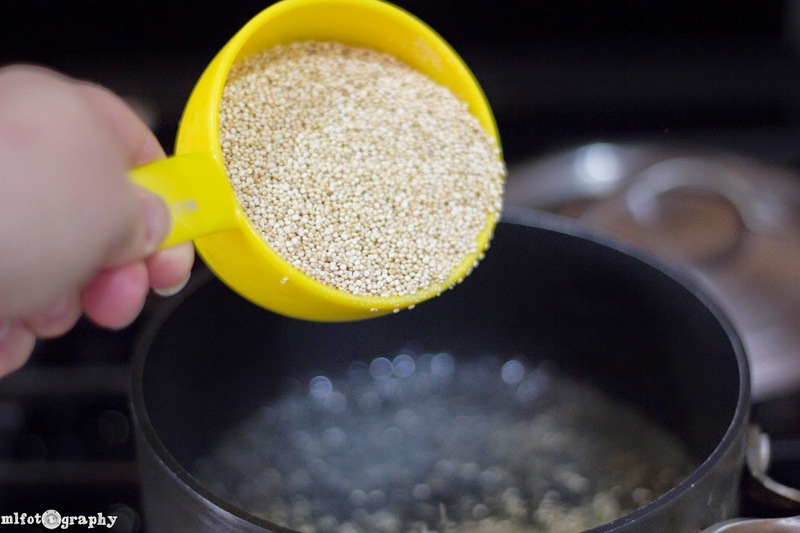 Once I started cooking with quinoa, I haven't been able to stop. I hope you love it as much as we do! For leftovers, throw on a tortilla and make tacos, enchiladas, quesadillas, burritos...you get where I'm going with this. 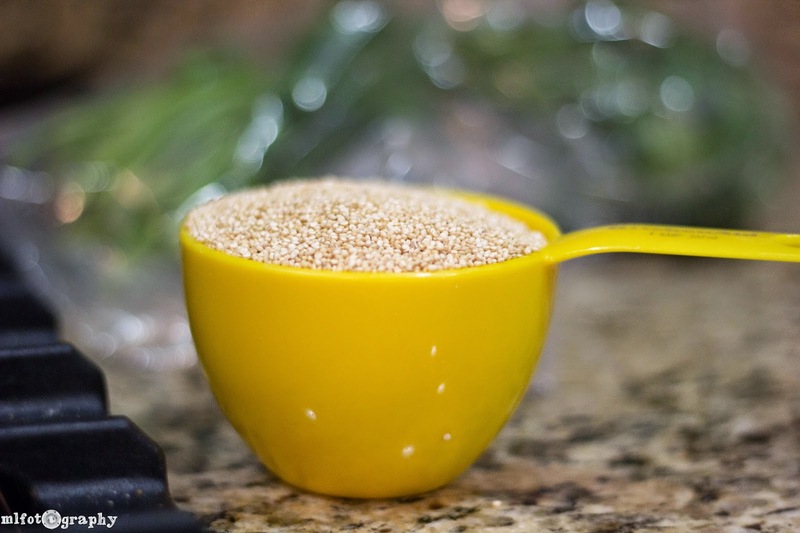 I love to make a big batch of quinoa and use it in different recipes throughout the week. We like it way better than rice. I would show you a picture of this dish served up all pretty on a plate but we ate it on paper plates and I refuse to take a picture of food on a paper plate. -Honey can I take a picture of you eating the salad? I hope you enjoy, I know we did!